I spent a fantastic weekend in Franschhoek, it surpassed all of my expectations! We visited wine farms such as Vrede en Lust, where we tried a gorgeous rose named after Jess, one of the daughters, and also experienced a chocolate and wine pairing. La Motte is a fantasy wine farm - the dining room and kitchen are out of this world with crockery chandeliers and a central kitchen where you are able to see the chef in action. The grounds are stunning too - so tranquil. We had an impromptu lunch at Grande Provence - I had the duck tagine, which was a mind blow! And I enjoyed tasting their wines, which have officially become some of my top favourites, especially the Grande Provence, which comes in a stunning leather case and has so many magical layers of flavour, but the whites are amazingly delicious too. Angels Tears is a light lunchtime wine. The Bubbles Festival itself was a glamorous affair with everyone competing to outdo each other's outfits. The weather was beautiful; the perfect day to sip bubbly in the sun. The Salmon Bar is where we spent a large amount of our time - the breakfasts and lunches were great - particularly the hot smoked salmon, chilli and lime noodles. 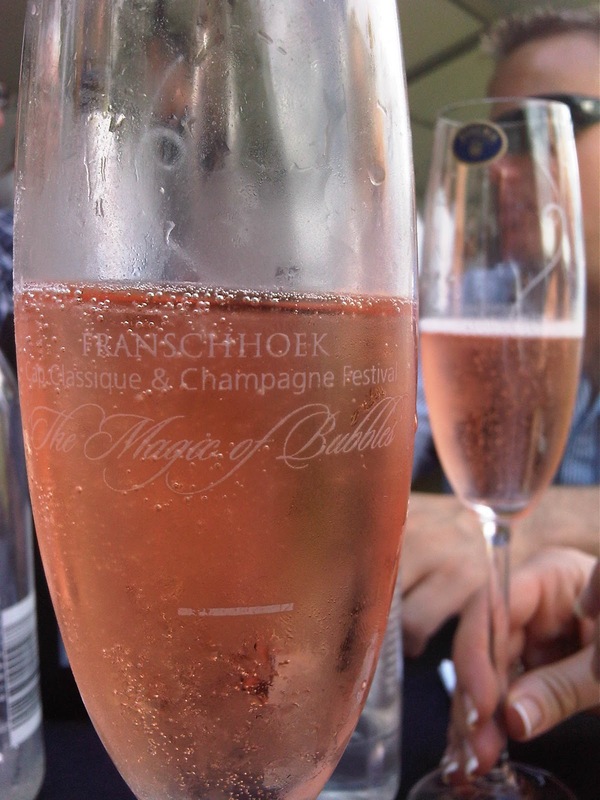 We had dinner at French Connection and to round off the weekend we went for more bubbly tasting at Haute Cabriere - what a breath-taking setting! I can't wait to explore more of this amazing part of our country! With each turn there is something new to discover... with spectacular views, champagne flowing and delicious food, what more could you ask for? I wish all of you a fabulous 2011 - this year is going to be a brilliant one! Catch hold of your dreams and make them a reality.